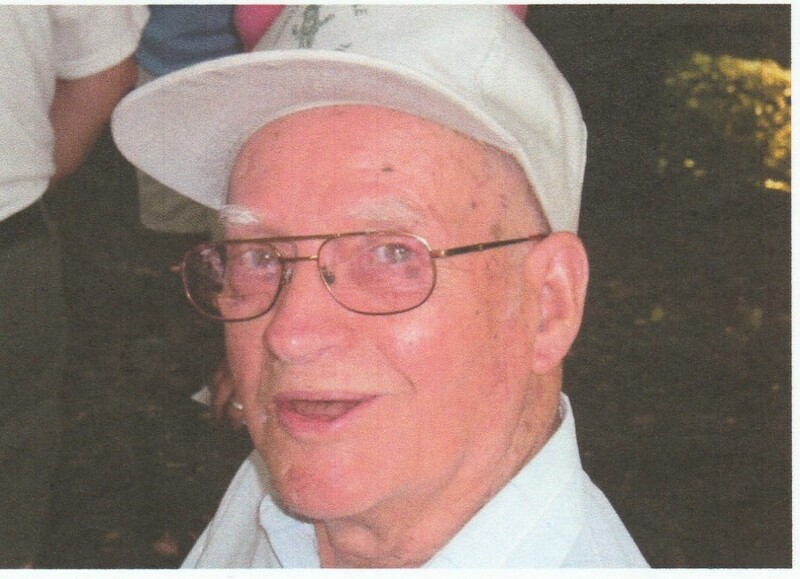 James Flavil Baker, age 99, of Killbuck, Ohio went home to be with the Lord, Saturday August 25, 2018 at Majora Lane Care Center, Millersburg, Ohio with family by his side, following an extended illness. Funeral services will be 11 a.m. Thursday at Alexander Funeral Home, Millersburg, Ohio with brother Larry lamp officiating. Private family burial will take place at Baker Ridge Cemetery, following the services. Friends may call from 2 to 4 and 6 to 8 p.m. Wednesday at the funeral home. Those wishing to share a memory or make online condolences may do so by www.alexanderfhinc.com. James was born May 7, 1919 in Ritchie County, West Virginia and was the son of Wesley R. and Mary Francis (Eddy) Baker. On March 22, 1940 he married Gladys M. Parker and she preceded him in death April 20, 1998. James was an Oil Well Driller and co-founder of Baker Brothers Oil and Gas. He had oil in his blood. James later became a farmer so he could help take care of and spend time with his wife and family. He was a member of Locust Grove Church of Christ. James, better known as Flavy, Slim, Gramps and The Go To Guy enjoyed Hit and Miss Engine Shows, the Killbuck Early American Days and Antique Festivals, as well as tinkering, tearing down, repairing and creating things. He is survived by children, Bernice Christsenson of Nashville, Ohio, Jerry (Carolyn) Baker of Killbuck, Ohio and Everett (Jennifer) Baker of Millersburg, Ohio; grandchildren, Andy (Brenda) Yoder, Bob Yoder, John Yoder, Jim Yoder, Roy Yoder, Ada Yoder, Sheila Yoder, Jerry Baker Jr., James (Vickie) Baker, David Baker, Cynthia (Kirk) Shaloy, Brad (Amy) Baker, Leslie Baker, Katie Baker, James Baker, Everett Jr. Baker, Colton Baker, William Baker, and Jenny Baker; 36 great grandchildren; 46 great great grandchildren; siblings, Paul (Lura) Baker of Killbuck, Ohio, Andy (Lou Henri) Baker of Killbuck, Ohio and Wilma Randles of Beach City, Ohio; and numerous nieces and nephews. He was preceded in death by his parents; siblings, Roscoe Baker, Perry Baker, Freeda Robison, Thelma Lamp, Leona Hoyman and Delores Lamp; a daughter, Ada Diane Baker; a son, Tony Joe Baker; two grandchildren, Philip Neil Baker and Michael Todd Baker; two great-grandchildren; and one great-great-grandchild.